On daily (except Mondays) till 30th October right at the entry to the Výstaviště Exhibition Grounds, the annual St Wenceslas Autumn Fair is in full swing. 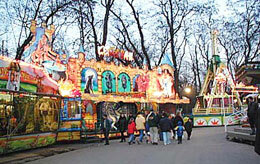 Clowns, performances and over 50 rides are there for kids to enjoy and entry to the fairground is free. 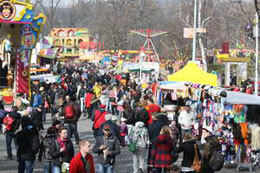 Heres an idea, why not also combine the fair and visit us at the Expat Expo in the Exhibition Hall next Saturday! The fair includes a Ferris Wheel, Carousel Chain, Haunted House, Dodgem Cars and other adrenaline attractions as well as stalls selling goods and snacks. 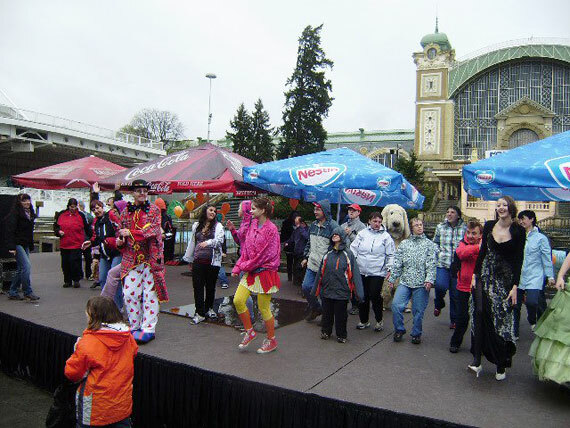 On weekends at the Křižík Fountain (behind the Exhibition Hall) from 1pm till 5pm clowns put on shows and the performance troupe Meduza - entertain the kids with fairytales. Masked parades also take place. Fair’s throughout CZ at this time of year is one of the ways to commemorate and celebrate King Wenceslas(b.907 - d.935) - the patron Saint of the Czech people. Last week’s public holiday on 28 September was the date of his murder, most disturbingly at the hands of his own brother. During the tricky transition from Paganism to Christianity - Wenceslas, as a Christian, became enemy number one for his Pagan mother and brother - thus their plot to rid him at the tender age of 28. Despite his short life and time ruling the kingdom he ended child slavery and supported orphans and the needy - a humanitarian whom so many of us recognise from the famous Christmas Carol Good King Wenceslas. I guess given King Wenceslas’ legacy it’s fitting that children enjoy St Wenceslas Fairs around the country - allowing them to revel in their childhood and sense of fun! The Vystaviste Exhibition Grounds run a permanent fair behind the exhibition centre, rides are priced around 40czk per person so I’m guessing the Wenceslas Fair rides will be similarly priced. Consider a visit to the Fair when you head to the Expat Expo next Saturday, the fair is on the right hand side of the exhibition building. 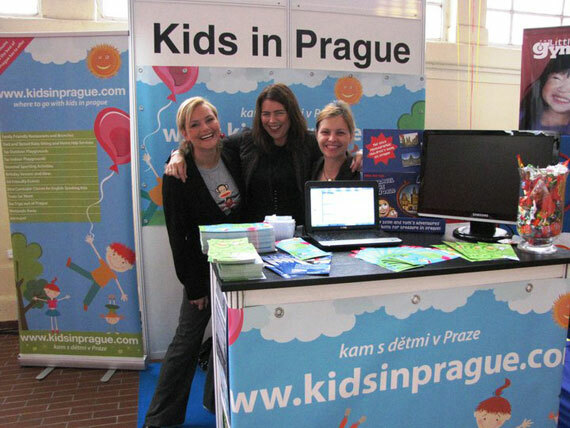 Kids in Prague will have a stand at the Expo, opposite the children’s playground - we’d love to meet as many of you as possible and we know from last year that there is plenty on offer for kids such as face painting, craft tables, giveaways, balloons and entertainment shows. DIRECTIONS: Metro C (red line) to Nadrazi Holesovice and then tram 5, 12, 14, 15 or 17 to tram stop ‘Vystaviste’. By tram: Take tram numbers 5, 12, 14, 15 or 17 to tram stop ‘Vystaviste’. Veer towards the right from the main entrance to the exhibition grounds. By Car: Paid parking (40CZK per hour is available in front of O2 Sports Stadium).